Baroness Raymonde Delaroche, first woman to hold pilot's licence, 1909. On 3 Nov 1909 flew Voisin biplane 1,000 yards. 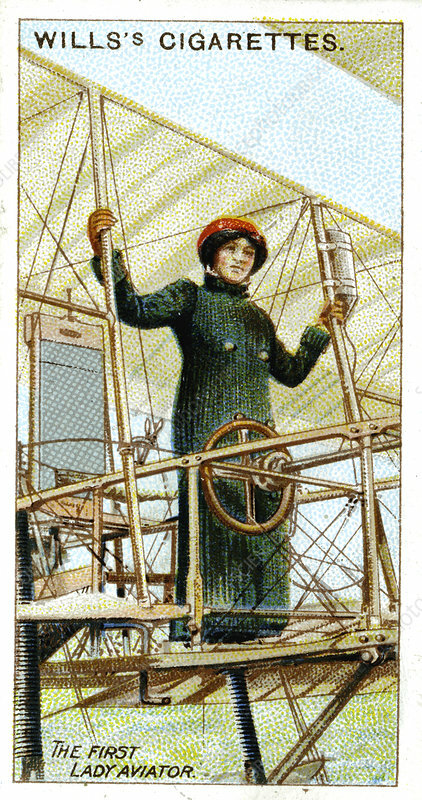 From set of cards on aviation published 1910. Chromolithograph.